Yesterday(January 19th) during her YouTube special 'If I Could Tell You Just One Thing, Priyanka Chopra struck a pose for instagram. 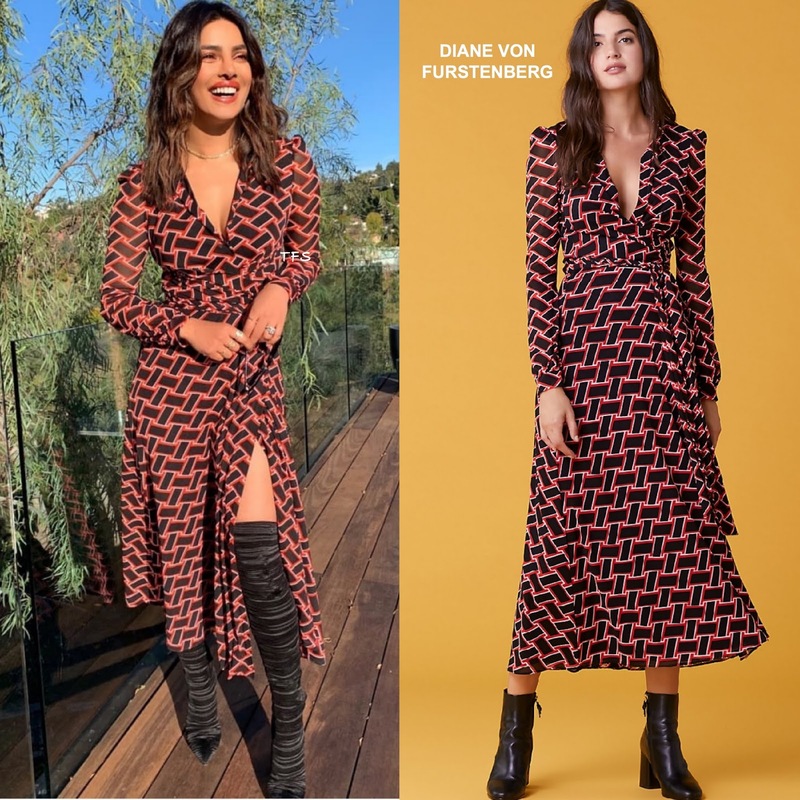 She posed for the gram wearing the DIANE FURSTENBERG 'Phoenix' long sleeve vintage weave, mesh wrap dress, featuring a collard neck and split. Priyanka actually makes this dress more sexier than it is shown in the look book, and I love it. While she could have easily gone with sandals or pumps, her CASADEI black thigh-high boots worked perfectly. Center part wavy tresses, a red lip and silver jewelry finished up her look. Are you feeling Priyanka's instagram style? 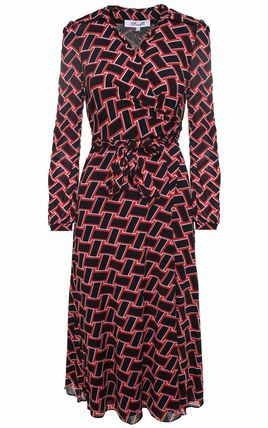 You can get Priyanka's DVF dress via the designer's website HERE and at ITALIST.